With subtle shades of light pink and white, these lanterns will add a romantic and modern twist to any kids’ room décor. 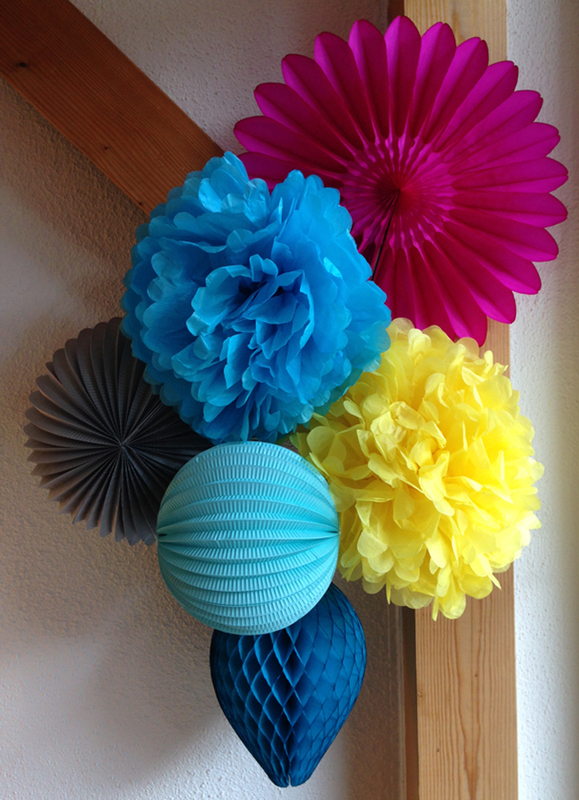 Each kit includes 7 lanterns and pompoms, as well as everything you need for hanging: hook, nail and string. 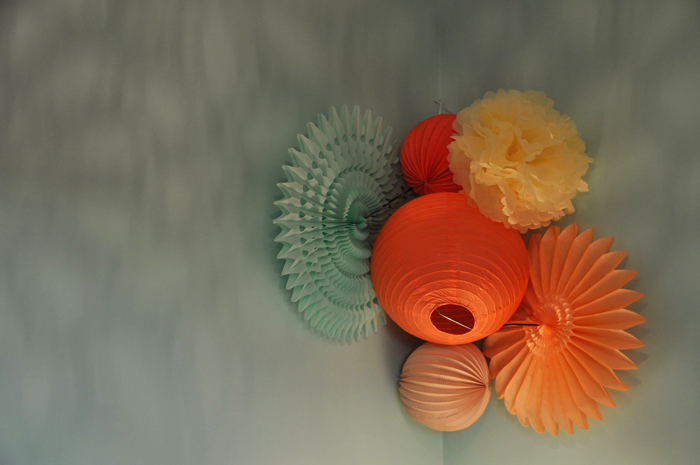 And here are some easy tips for creating a beautiful grouping of lanterns on the wall. This is one of the many ways you can hang the lanterns, the possibilities are endless! 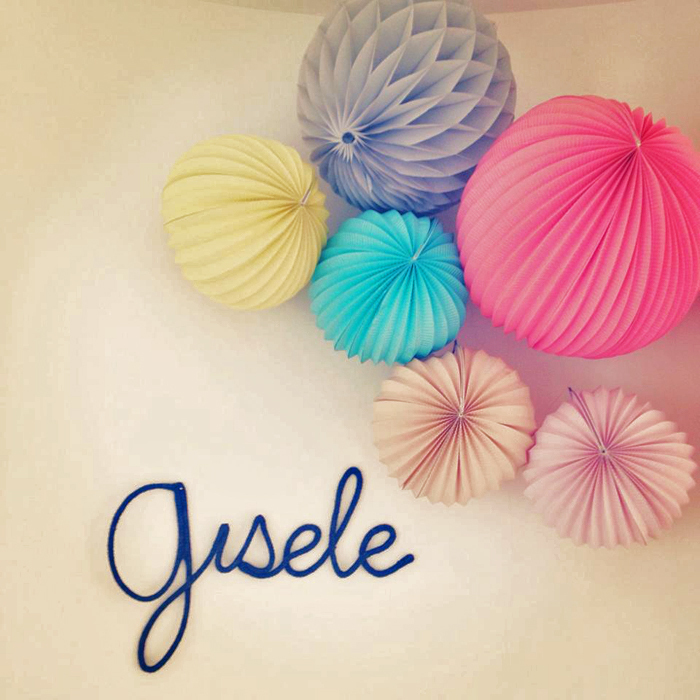 Shop our paper lanterns kit in our boutique now! 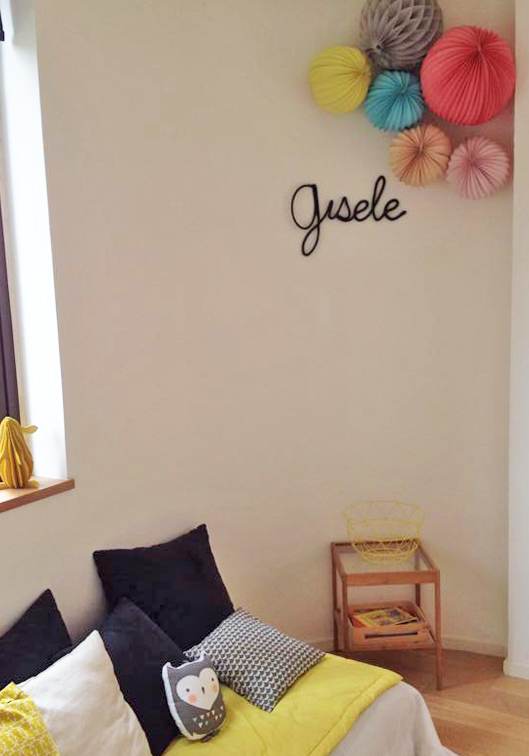 We love how these colors are bright but feminine enough to make the party really happen in Rosie’s bedroom. 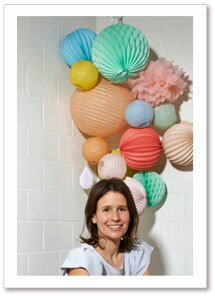 Creative director and mother Sara trusted Alix to really do her thing when she sent pictures of Rosie’s new room. Sara actually sent her kids out to see a movie in town while she surprised her daughter with these rad decorations and Rosie was THRILLED. We call this look boho baby. 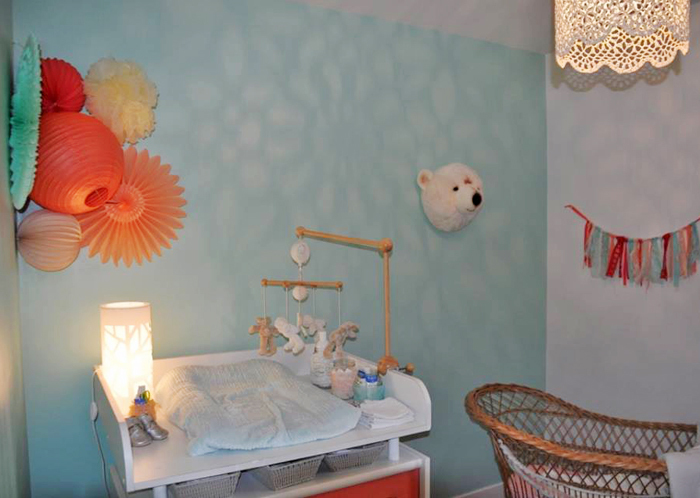 We love the point of interest April’s mom created by the changing table with our warm beautiful lanterns. Check out the light on the walls shining through the lace on the walls. 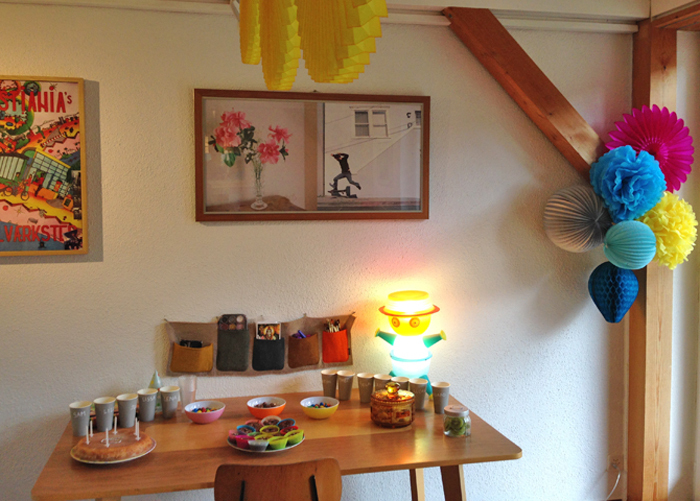 We love this combination of shapes for little Solal’s 6th birthday party. One of the best things about our lanterns is that you can reuse them over and over, and even add in new elements to change the tone entirely. We just love these bright little spots you are all creating with our product! We love this adorable set up for Gisele in Hong Kong. You could totally recreate this with oversized pipe cleaner and a cluster of our lanterns. So flipping cute. We are loving how all of the lines of pattern play off of each other here. It is the perfect amount of girl power combined with super cool bedding. How cool is that blue pillow? We love the range of heignts of the pieces hanging from the ceiling. We are so happy to share Guili Gribouilli‘s creations, bed linen and decoration for children, nestled beneath a great collection from our shop. Colorful décor for happy babies! Big, bright and bold.